Forgive me, for my eyes kept sliding off the screen, but I can see no declaration of interest here by Miss Butterskips. You're a leading New Labour hack, are you not? PS And finally... no disrespect to Benjamin Butterworth [Clue's in the name] or 'GT', but as I've said here before, any journalist who uses the term 'gay icon' - sans irony - is a clueless twot. 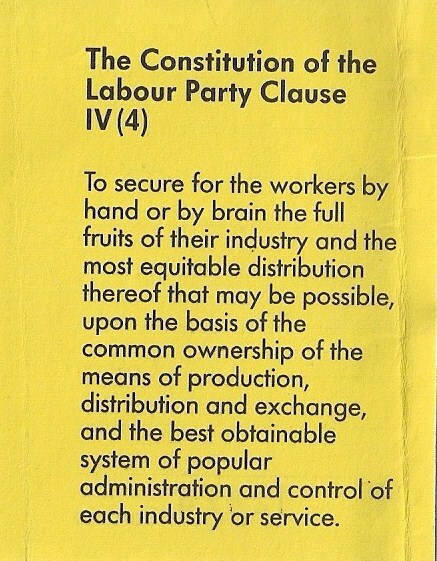 Full disclosure: Fagburn joined the Labour Party, back when it had this on the back of the membership cards. But I never got beyond provisional membership, cause the first communication from the local ward was inviting me to a 'summer garden barbecue party'. There and then I realised the Labour party was fucked, and decided to go back to being a communist.